Temporary Electrics in Blistering Temperatures! What a great summer it has been! Admittedly the many weeks of unusually high temperatures divided the nation into two camps; the "isn’t it lovely’s" and the "it’s too hot to do anything’s". For the uninitiated; temporary site services, including temporary electrics, is very labour-intensive work requiring the maneuvering of heavy equipment and cabling during the installation and the ongoing maintenance. When temperatures hit 30 degrees, protective work-wear and boots still have to be worn so the level of mettle and commitment required to carry out the work is admirable. We extend sincere thanks to our site teams who have endured the weather, occasional torrential rain and blistering sunshine, to maintain the consistently high levels of service Multitech has become known for. Historically the construction industry sees a slowdown during the summer holiday period but this year we have been kept very busy with enquiries from new and existing clients. 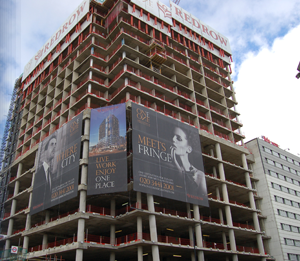 We are very happy to report that sales targets have been exceeded and excellent new projects entrusted to us. We are now preparing for our busiest time with only two months until the clocks go back and the necessity for site lighting has new found urgency for clients; only last week we sent 1000 LED Site Lights to a new project. The excitement of the World Cup and the excellent performance by England won’t be forgotten any time soon. If ever there was a sporting event to lift the spirits of the nation, even if only for a short time, the World Cup was certainly it. And the Premier League has returned with Man City and Liverpool already the bookies favourites to lift the cup although at time of writing Tottenham, Chelsea and Watford occupy three of the top four at the top. And then there was British success in the Tour De France – what an achievement! Geraint Thomas was in the form of his life and totally deserved his podium position…what a career shaping moment for him. The annual staff barbecue has taken place with burgers, bangers and beer consumed with spirits high after Summer breaks and a summer of sunshine. 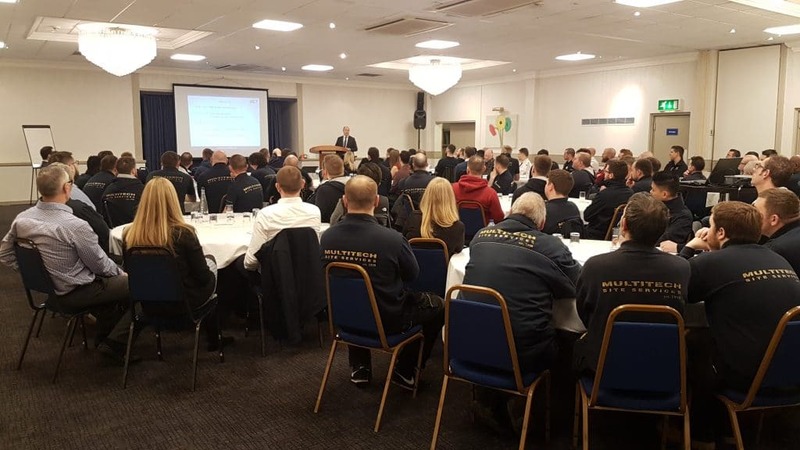 Our attentions will now turn to organising our 2019 Staff Safety Conference and training day - Multitech is the only temporary site services company in the UK to hold such an event. This is symbolic of our permanent commitment to safety and training. Technical personnel have already been on training courses and are prepared for the IET Wiring Regulations 18th Edition due for release in January 2019. Our new Multitech Electrical Training Programme intake is now closed having awarded places to candidates who have outstanding potential. Over the next four years they will be guided through their training, practical and academic to put them in an excellent position to take their skills, through Multitech, out into the construction industry. As bored school children return to school and stressed parents routines are re-established we are genuinely excited about the weeks and months ahead. We’ve had a fantastic Summer and are looking forward to starting on new projects. Combined with the lighting season our fourth quarter. Wishing all of our clients, friends and followers all the very best.